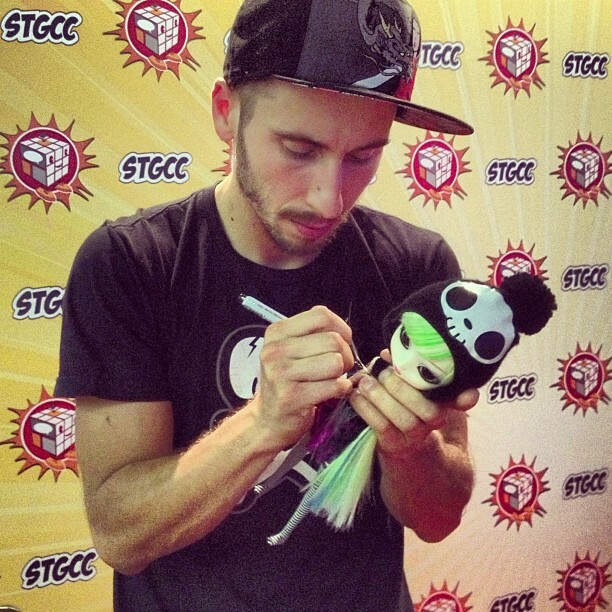 Wife and I were looking forward to meeting Simone Legno at STGCC 2013 since we are tokidoki fans. 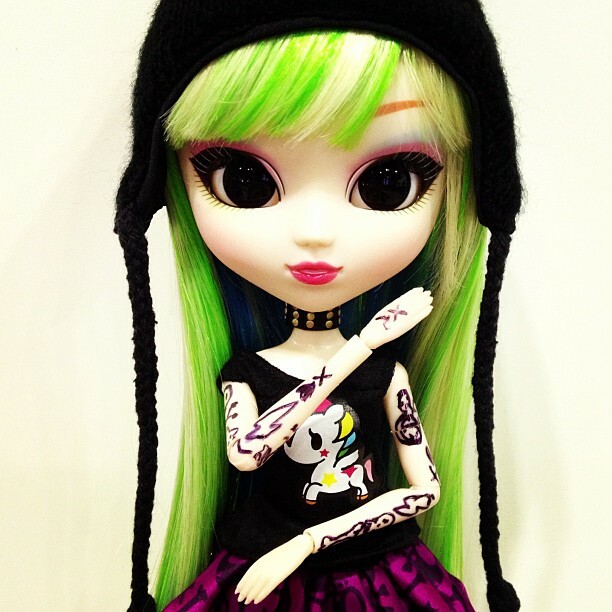 We even bought an extra tokidoki collaboration Pullip Luna last year specially to let him autograph at this convention! Close-up of his quick sketch on the box. Since we bought 2-day passes to the convention, we were wondering what else we can bring to let Simone autograph on the second day. 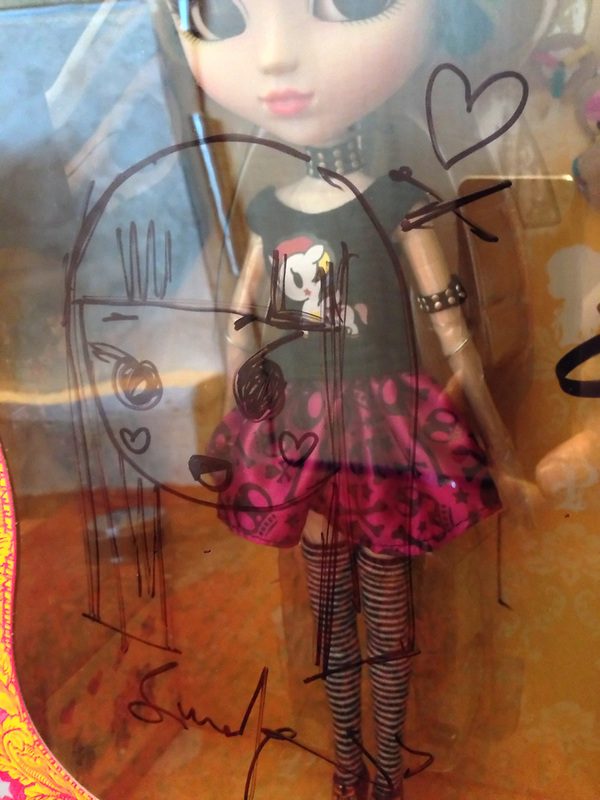 Wife decided to bring her opened Luna doll (she named her Kanako) and ask if he can sign on her. He obliged! Simone drew along both her arms. Even though I thought they are too thin to draw anything on them, he managed to pull it off. Kanako now proudly has 'tattoos' from Simone Legno himself! 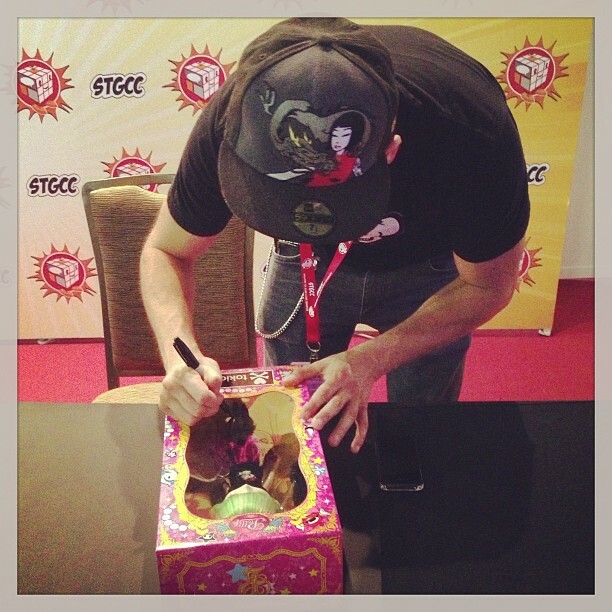 Simone was nice to sketch and autograph on my Cactus Rocker box as well. (I brought it along in case he couldn't autograph on Kanako.) 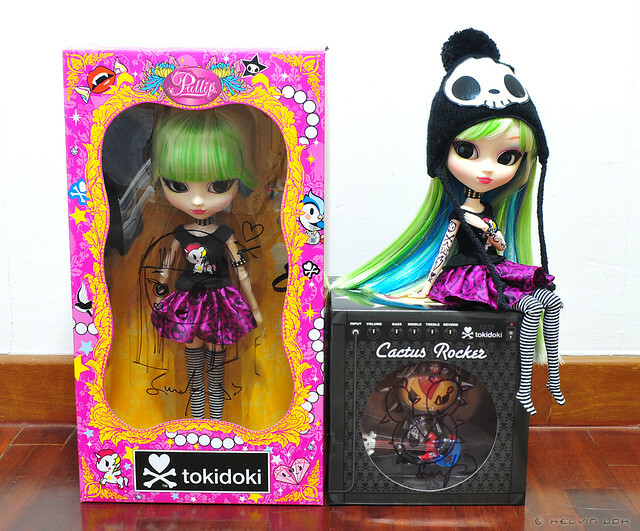 So here are the 3 tokidoki items we had autographed at STGCC 2013.
i look forward to see your display cabinets..very nice dolls and congrats! !